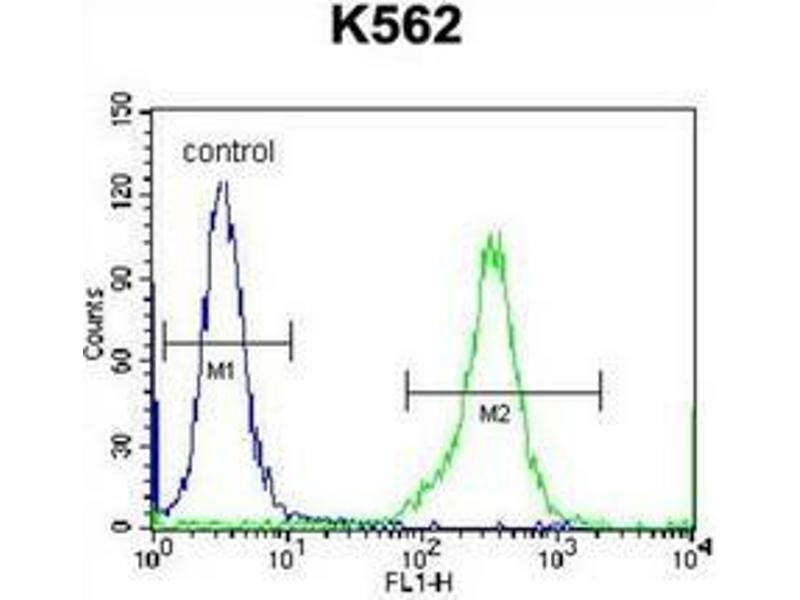 Flow cytometric analysis of K562 cells using CD238 / KEL Antibody (Center) Cat.-No AP52330PU-N (right histogram) compared to a negative control cell (left histogram). FITC-conjugated donkey-anti-rabbit secondary antibodies were used for the analysis. 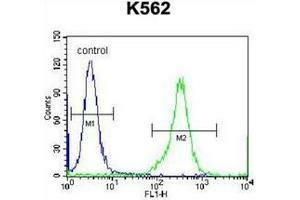 Western blot analysis of CD238 / KEL Antibody (Center) in K562 cell line lysates (35ug/lane). 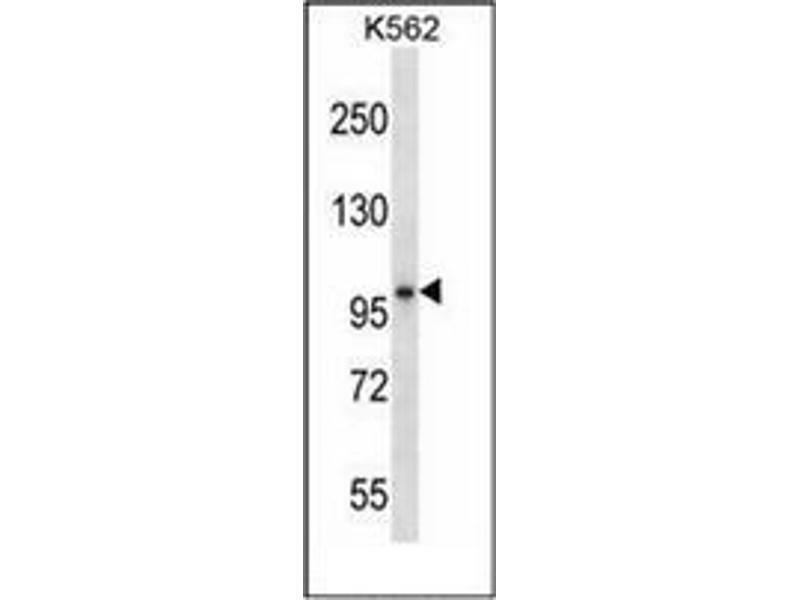 This demonstrates the KEL antibody detected the KEL protein (arrow). Specificity This antibody recognizes Human CD238 / KEL (Center). 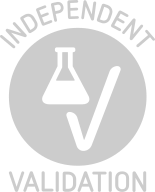 Background publications Di Cristofaro, Silvy, Chiaroni, Bailly: "Single PCR multiplex SNaPshot reaction for detection of eleven blood group nucleotide polymorphisms: optimization, validation, and one year of routine clinical use." in: The Journal of molecular diagnostics : JMD, Vol. 12, Issue 4, pp. 453-60, 2010 (PubMed). Boturão-Neto, Chiba, Bordin: "Novel IVS6-13C>T mutation recognized as a cause of discrepancy between phenotyping and genotyping in KEL*3,4 polymorphism identification." in: Transfusion, Vol. 50, Issue 3, pp. 735-7, 2010 (PubMed). Yang, Wang, Wang, Chen, Guo, Zhang, Zhu: "Two novel null alleles of the KEL gene detected in two Chinese women with the K(null) phenotype." in: Transfusion medicine (Oxford, England), Vol. 19, Issue 5, pp. 235-44, 2009 (PubMed). Körmöczi, Scharberg, Gassner: "A novel KEL*1,3 allele with weak Kell antigen expression confirming the cis-modifier effect of KEL3." in: Transfusion, Vol. 49, Issue 4, pp. 733-9, 2009 (PubMed). Lee, Debnath, Redman: "Active amino acids of the Kell blood group protein and model of the ectodomain based on the structure of neutral endopeptidase 24.11." in: Blood, Vol. 102, Issue 8, pp. 3028-34, 2003 (PubMed).